Blekko has begun to test search ads on its site through feeds from Google and Bing. It works with brands through ad networks, but does not yet have direct ad relationships. Google and Bing built up an inventory of search ads so search start-ups like Blekko can tap into the pool thorugh the AdSense search feed. Microsoft has an equivalent product. Visitors who visit the search engine, however, probably will not see a search ad based on their query. Few are linked to slashtags, which helps to curate content, according to Rich Skrenta, Blekko founder and CEO. "We're still ironing out the kinks," Skrenta said. The company will measure success based on RPMs -- page revenue per 1000 ad units. Keywords are leads. He estimates search traffic is worth between $50 and $100 CPMs, because when someone types keywords into a search box, the intent increases. "If I type Palo Alto Audi into a search box, it becomes a $20 click to a car dealer," he said. "If you look at RPMs on Google, AOL search, or Ask.com they tend to be high, and that's the market opportunity we're pursuing." Prior to Blekko, Skrenta founded Topix, a news aggregator. He and fellow co-founders sold 75% of the company to Tribune, Gannett, and Knight Ridder. 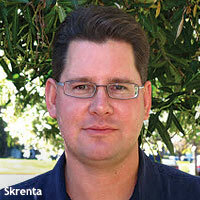 At Topix, Skrenta monetized page views at about $3 to $4 CPMs. Even on local forums, the site would generate about $1 CPM, which is unusual, he said. Backing the company is Russian search engine Yandex, along with venture capitalists PivotNorth Capital, SV Angel and Marc Andreessen. 2 comments about "Blekko Begins Testing Search Ads". John Grono from GAP Research, February 16, 2012 at 8:03 a.m.
A $20 click eh ... so a CPM of $20,000? Laurie Sullivan from lauriesullivan, February 16, 2012 at 8:20 a.m. I think he meant that the $20 click turned into a car sale.